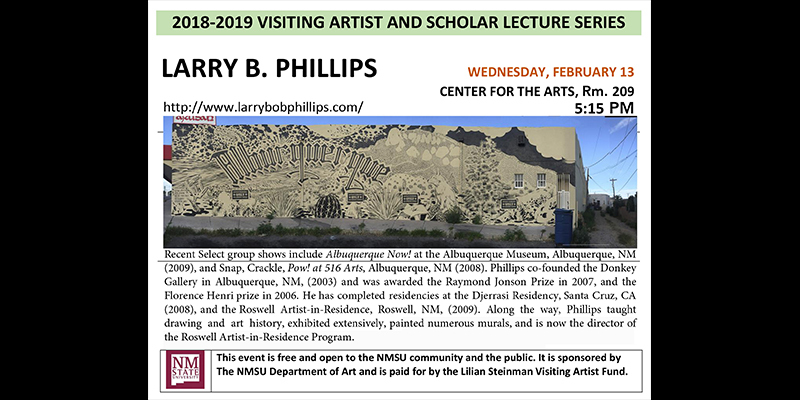 Please join us on campus in welcoming Larry Phillips as our first visiting artist to lecture about his work. Larry is originally from Albuquerque, but right now he’s spending his time at the Roswell Artist in Resident program where he gets to focus on his studio practice. These lectures are free and open to the NMSU community as well as the larger Las Cruces community and surrounding areas.